The maritime boundary between Gabon and São Tomé and Príncipe was established through a bilateral agreement that was reached on 26 April 2001. 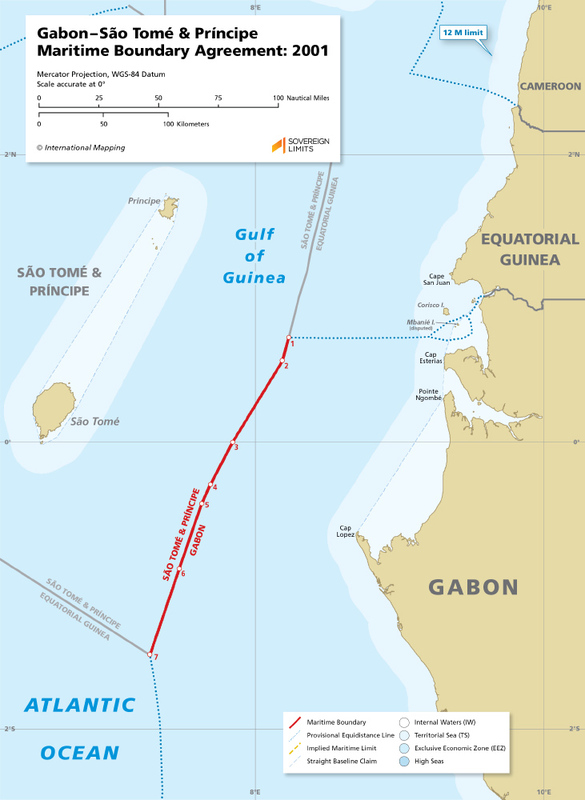 The boundary runs in a predominantly north-south direction for 145 nautical miles along a median line located in the easternmost portion of the Gulf of Guinea. The boundary agreement has not yet to enter into force, and to date, there have been no negotiations with Equatorial Guinea to define its northern and southern tripoints.